January 24, 2015 was a day that changed my life forever. 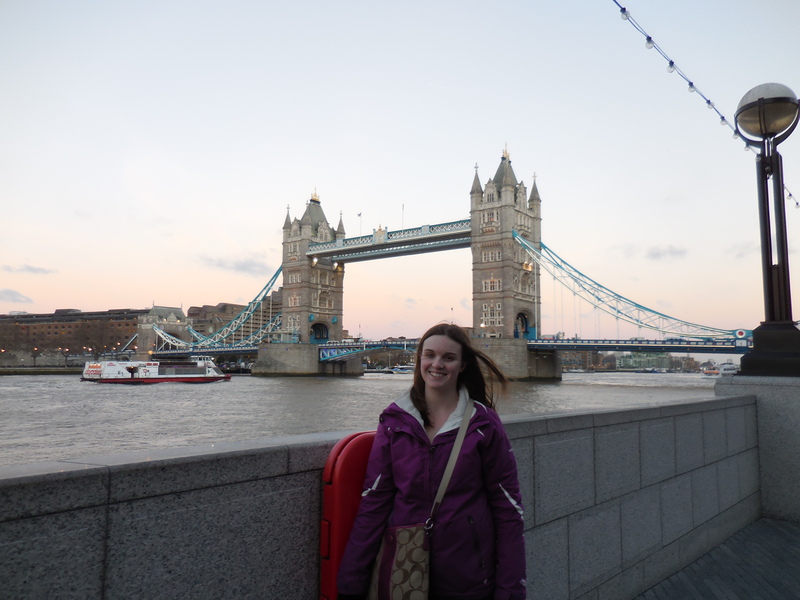 In 2011 I visited London for the first time on a band trip. It was love at first sight and I immediately felt like I was at home in the city. 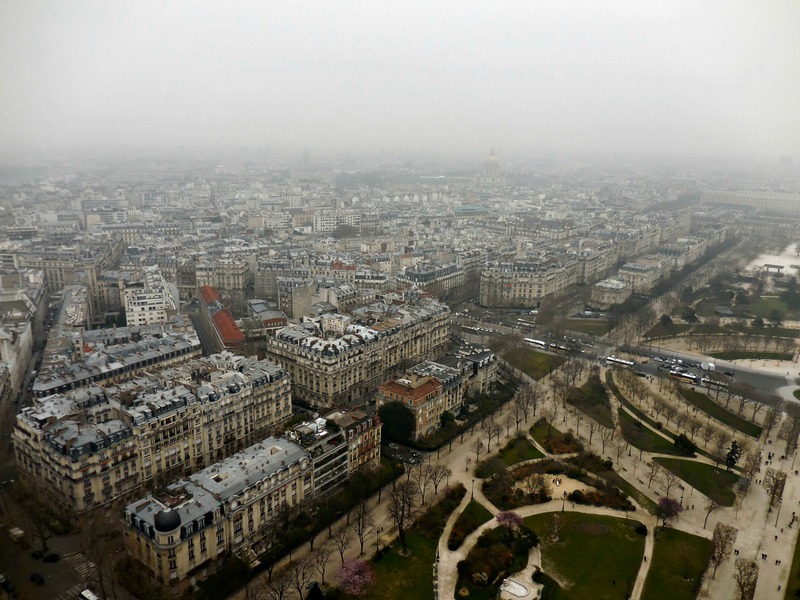 We left London for Paris after just a couple of days but I told my friends that I would be back in a few years to Study Abroad. 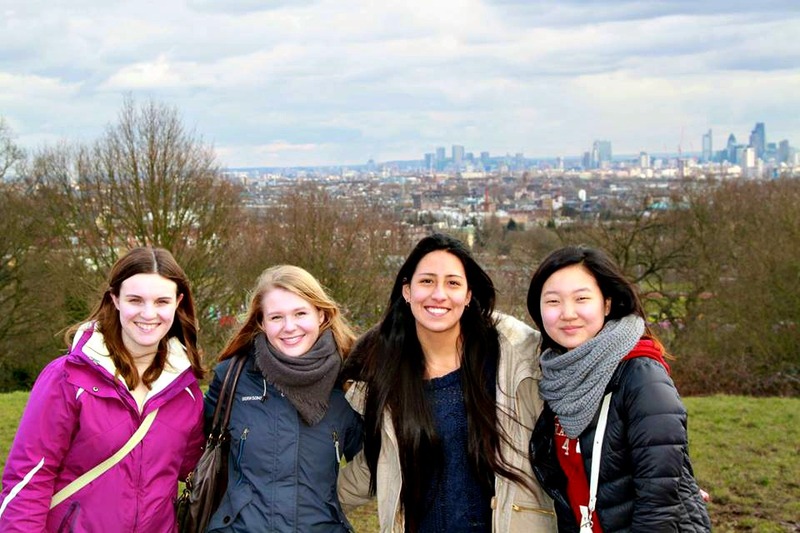 Studying abroad scared me to death even though it was something I knew that I had to do in my heart and soul. It was something I had wrestled over doing for years but knew that I would be regret it if I didn’t. So I packed my bags, gave notice to my job, and left. When I said goodbye to my mom, dad, sister, and Brett at the airport I tried to stay strong. But the moment I got through security I completely lost it and sobbed all the way to my departure gate. 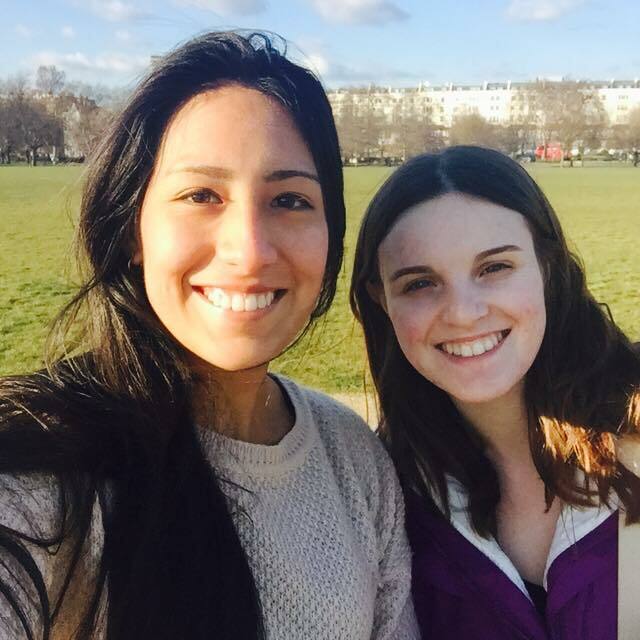 Luckily enough, I was traveling with a girl from my home university who would end up being my roommate in London. 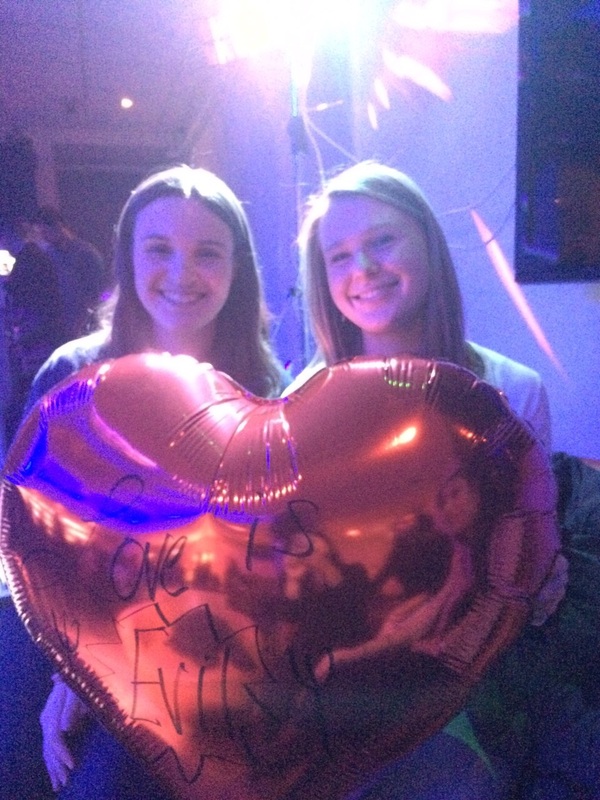 She showed me true kindness that day and I’m really grateful that I had her there with me. 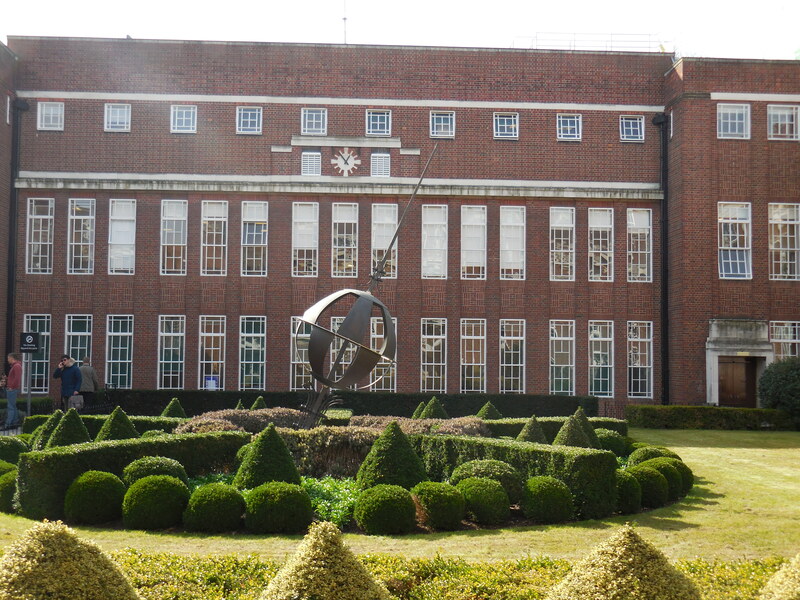 I’ll never forget the moment I saw Regent’s University for the first time. I had studied pictures, maps, and brochures for months but nothing prepared me for what I saw when I arrived. The dorms were like something out of a Harry Potter movie. The university itself was small but beautiful. 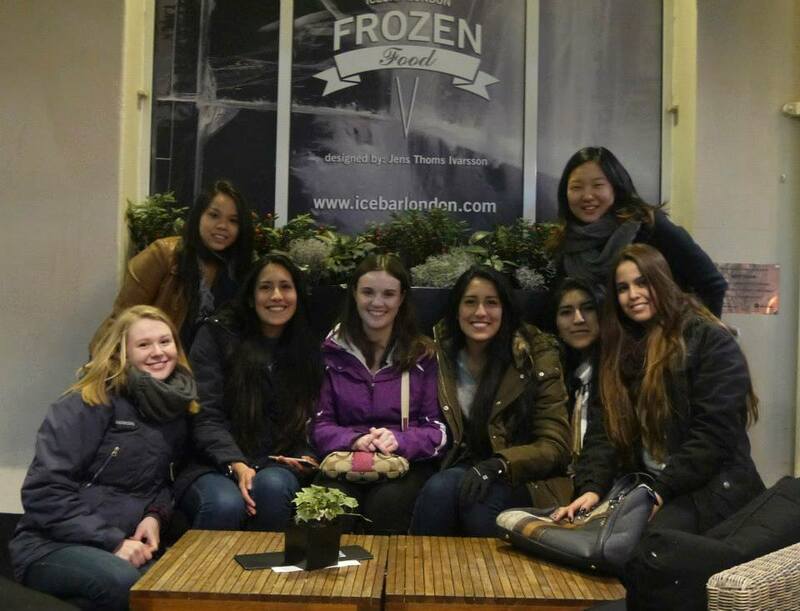 I made friends life-long friends at orientation that week and found myself exploring the city with my classmates. It was freeing. My family likes to joke that I was born old. I’m a homebody and I always tend to take care of others before myself. I started working at 17 and took that job very seriously. In college I worked long hours and went to class full time in order to graduate in 4 years. 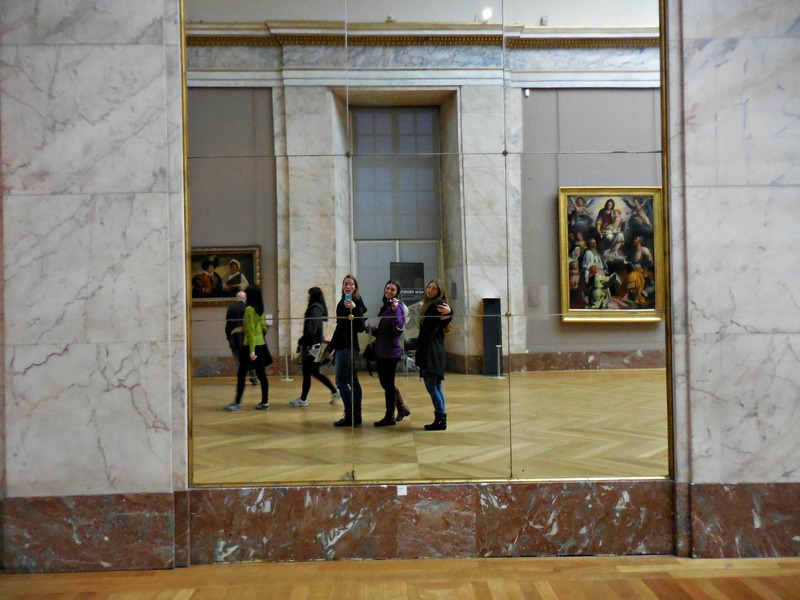 Studying abroad was my chance to be selfish. To worry only about my happiness and to finally take some time off of work and act my age. I felt like a brand new person. I was the “fun” friend for once in my life. One of my friends even called me “irresponsible” which at first upset me but looking back I’m so happy that I got to not be the responsible one for the first time. I had a great group of girls to hang out with. We traveled on weekends and during Easter break. We had lunch together everyday and they really seemed to get me. Sometimes I wish I could go back. 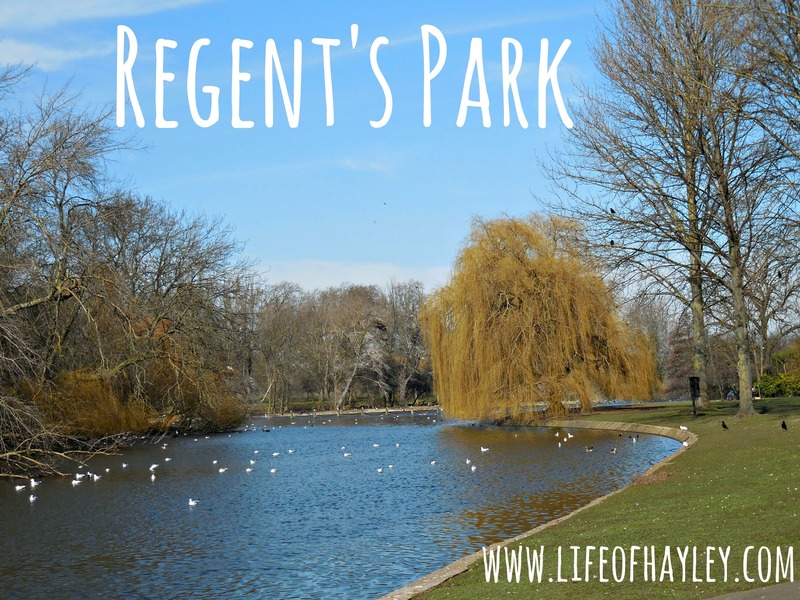 On our honeymoon in 2017 we went to London and visited Regent’s. I e-mailed a few weeks before to get visitors passes for campus so that I could officially show Brett around. We sat in the library, walked through the refectory, and went by every classroom that I had classes in. 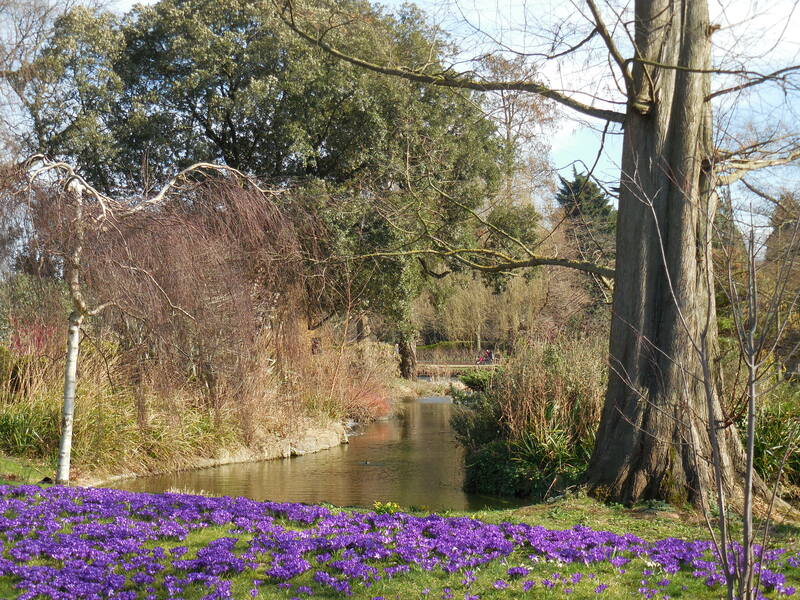 We walked through the park and admired the grounds in the summer. But something was missing. London will always be my favorite place to visit. It will always be the home of some of my happiest memories. It will always be the place where I met my best group of friends. And it will always be the place where Brett asked me to spend the rest of my life with him. Our honeymoon showed me that it’s okay to move on. London will always be waiting for me and my friends will always be just a WhatsApp message away. Things have changed but I’m still grateful that I got to be the “fun” friend for a few months. I really found myself when I was in London and discovered who I am as a person. But London is no longer my home. My home is now with Brett and it’s time to make new memories. 4 years ago I took a giant leap of faith when I stepped aboard an airplane flying from Chicago to London. That terrifying decision was one of the best decisions that I have ever made. Everyday I am grateful that I had the experience to meet friends from all over the world. 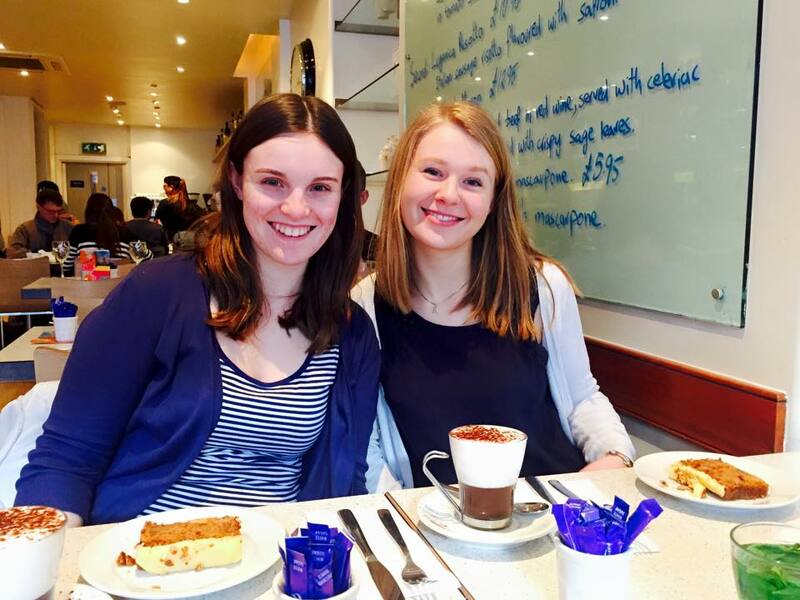 And I am SO glad that I had this blog to document all of the moments of my time in London. 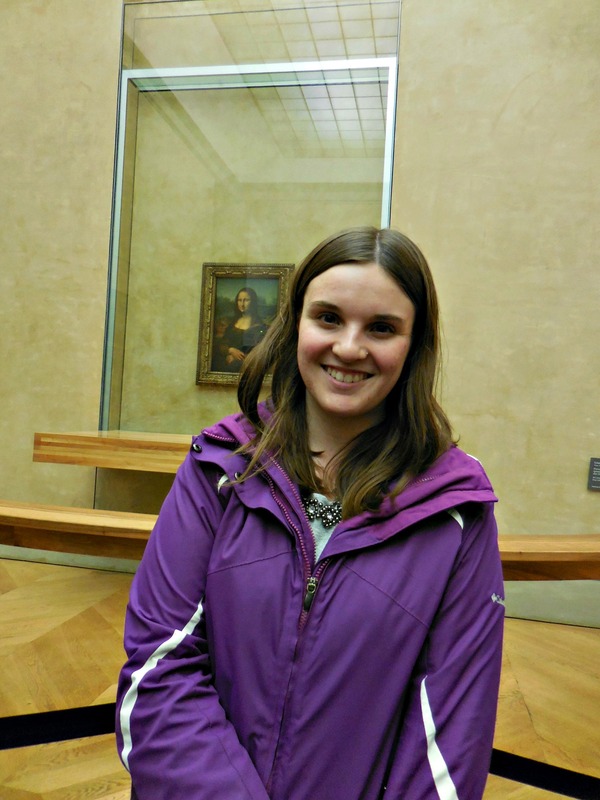 I love looking back on my study abroad posts. Sorry it has been a bit since my last post. The weather has been so beautiful here in London and I don’t want to miss a second of it! I am also starting to get sad about the semester coming to an end which is making it hard to write these posts. 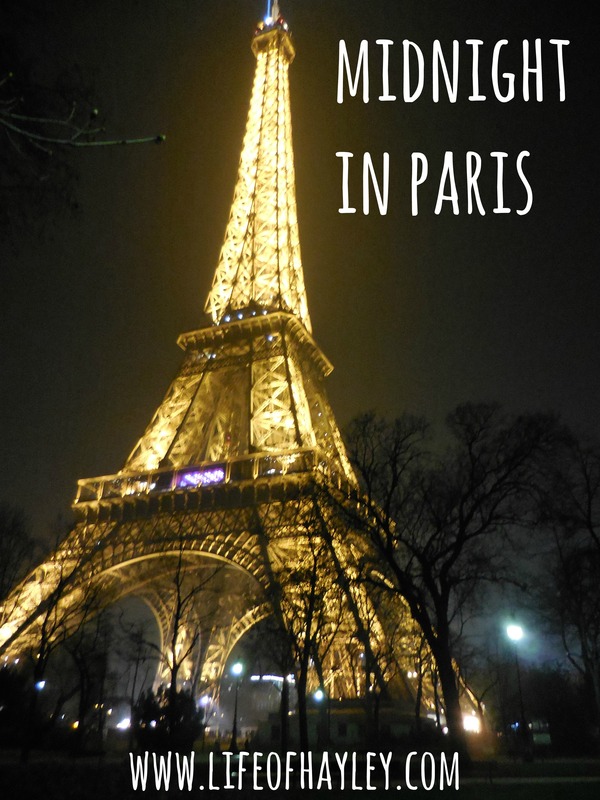 But anyway, let’s talk about Paris! 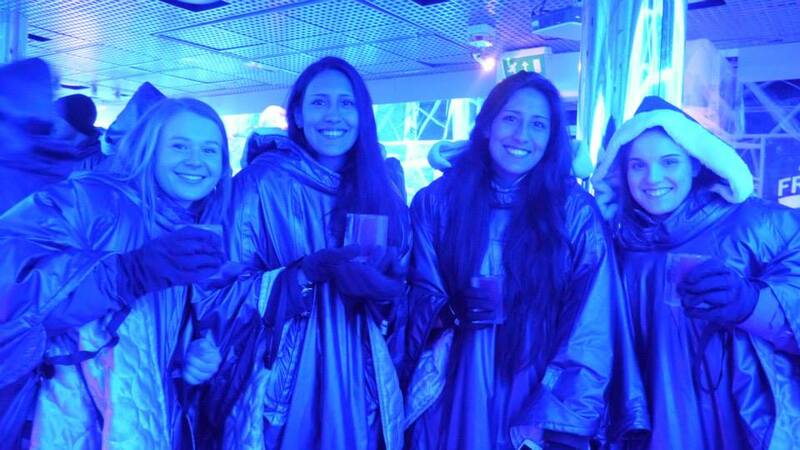 I once again went on a Regent’s University sponsored trip. 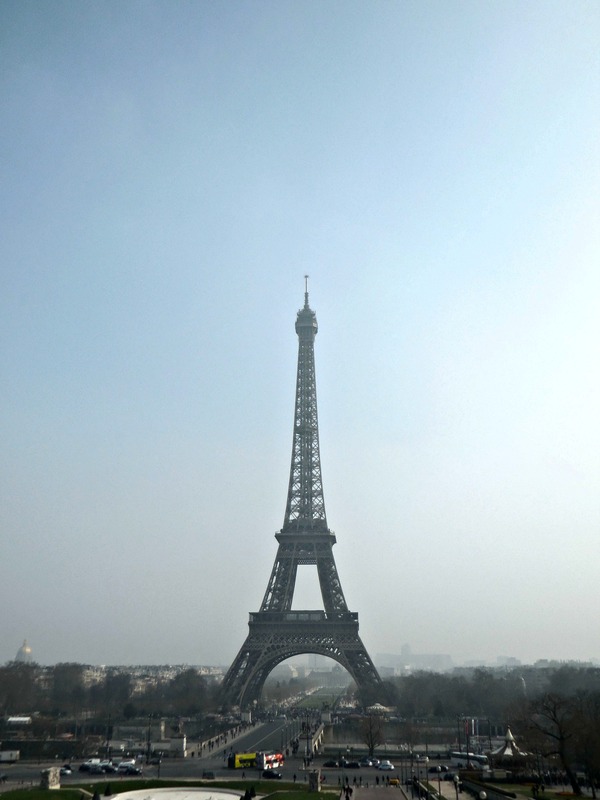 I’m not sure how many of us there were but I really enjoyed having a group to travel to and from Paris with. We took the train which only takes about 2 hours each way! 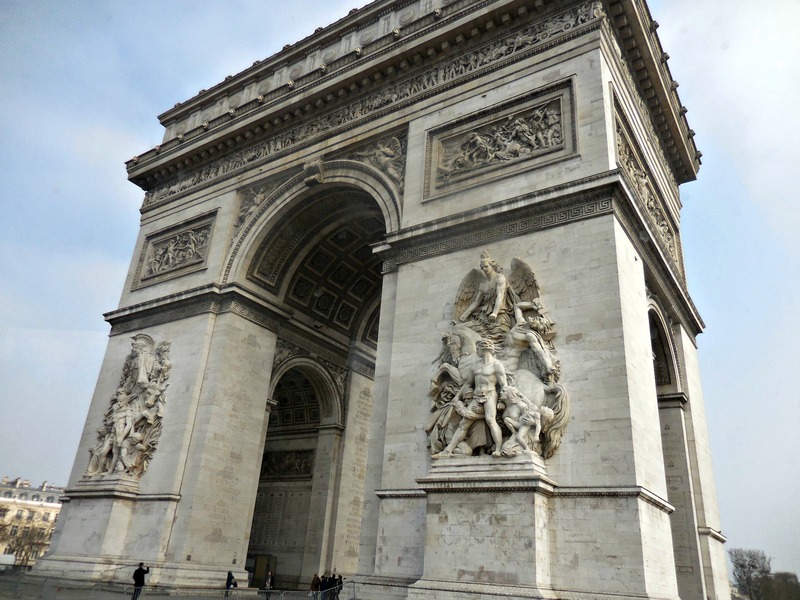 Our Paris guide first took us on a 3 hours bus tour of the city. We were all disappointed because we couldn’t get off the bus to look at things. At the end of the tour, we stopped by the Eiffel Tower for a few quick pictures before heading to our hostel. The hostel we stayed at was really nice even though it was about 45 minutes outside of the city center. My friends and I stayed in a ten person room which made us all anxious in the beginning but turned out to be a ton of fun! 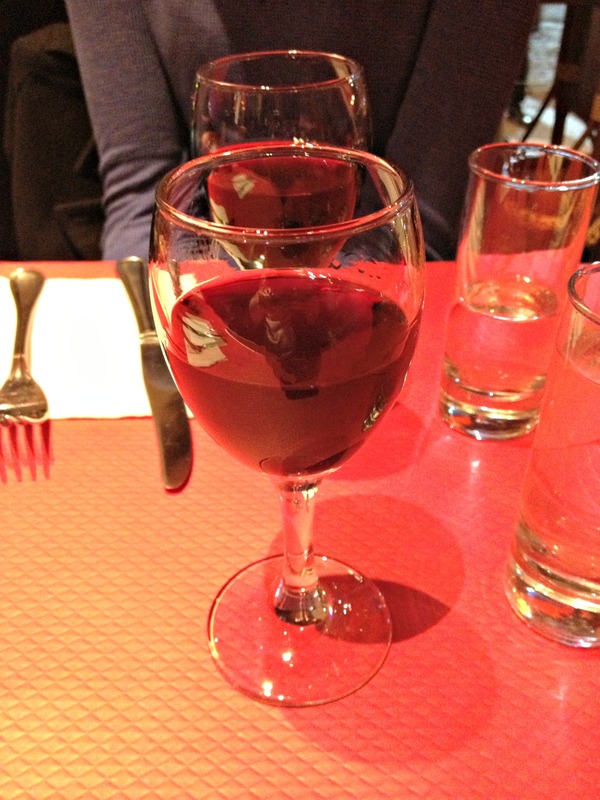 We had a quick snack at the hostel before heading out to explore Paris. 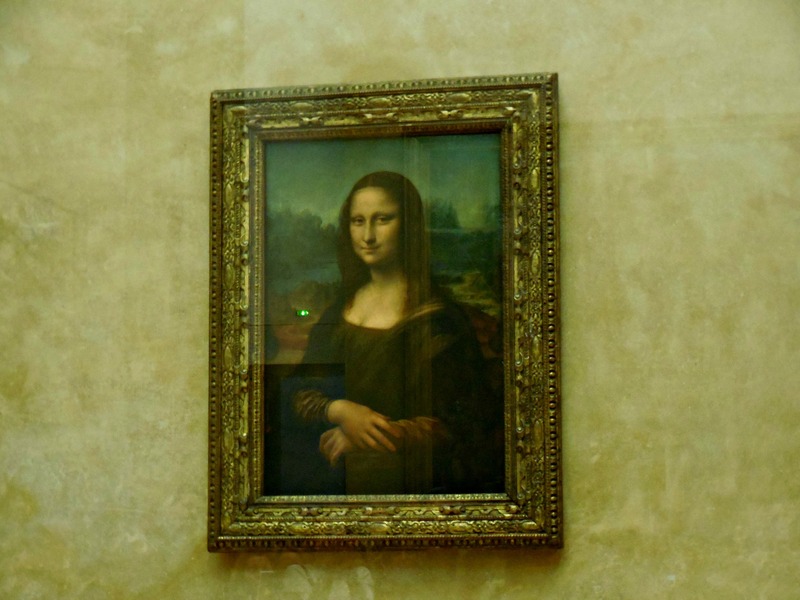 On Fridays the Louvre Museum lets people under the age of 25 in for free after 6 p.m. We headed toward the Louvre from the hostel which ended up being pretty easy using the Metro. 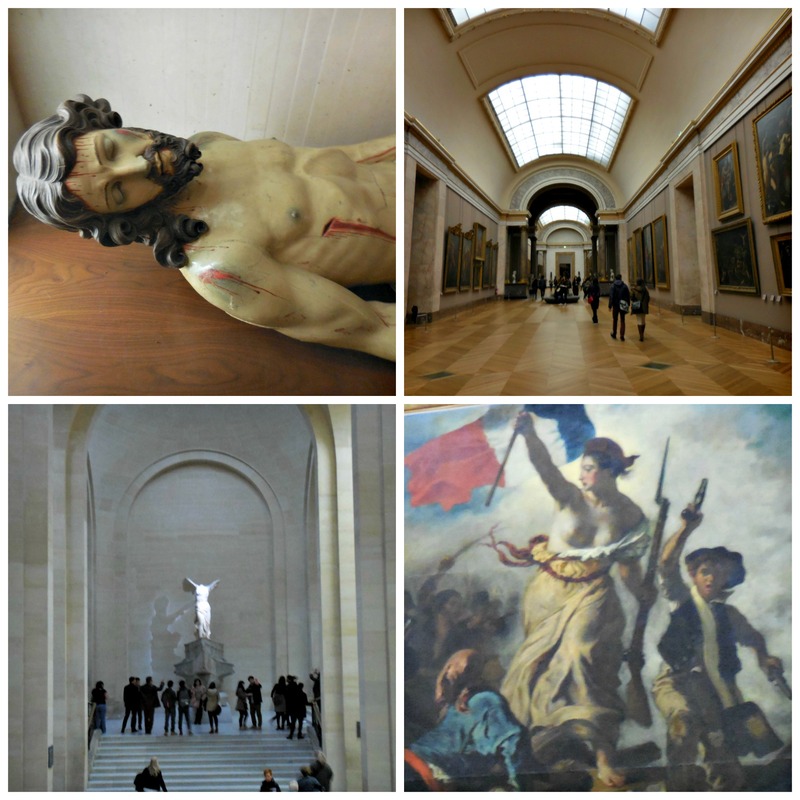 The Louvre was just as amazing as I had remembered it. We explored for a few hours and I think we saw almost every inch of the massive building! 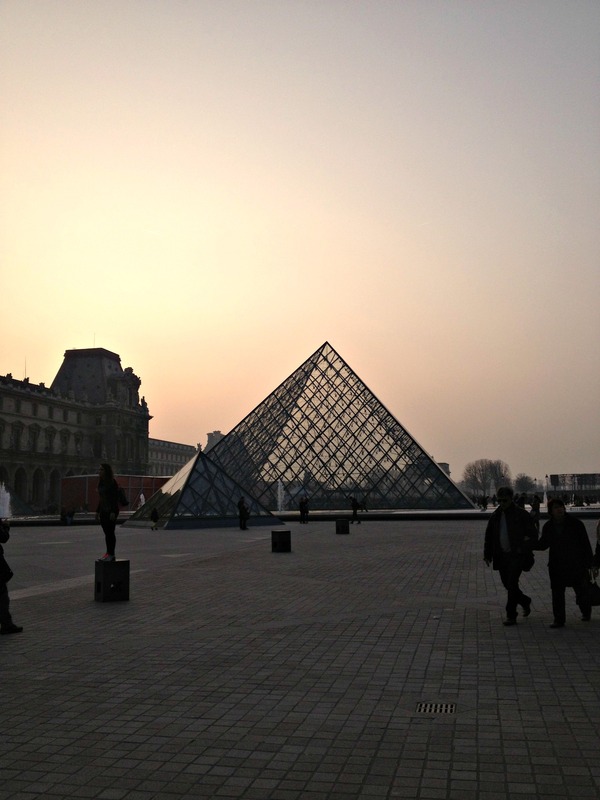 The Louvre is huge and is definently a must see if you are ever in Paris. From one of the windows we caught a glimpse of the Eiffel Tower all lit up and decided that we had to go see it before returning home! 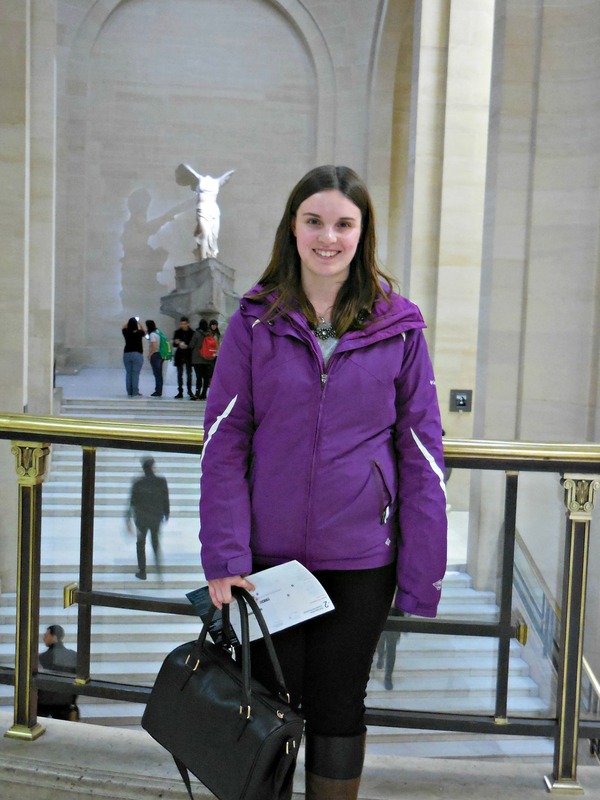 After we finished adventure in the Louvre we headed straight to the Metro station to leave for the Eiffel Tower. 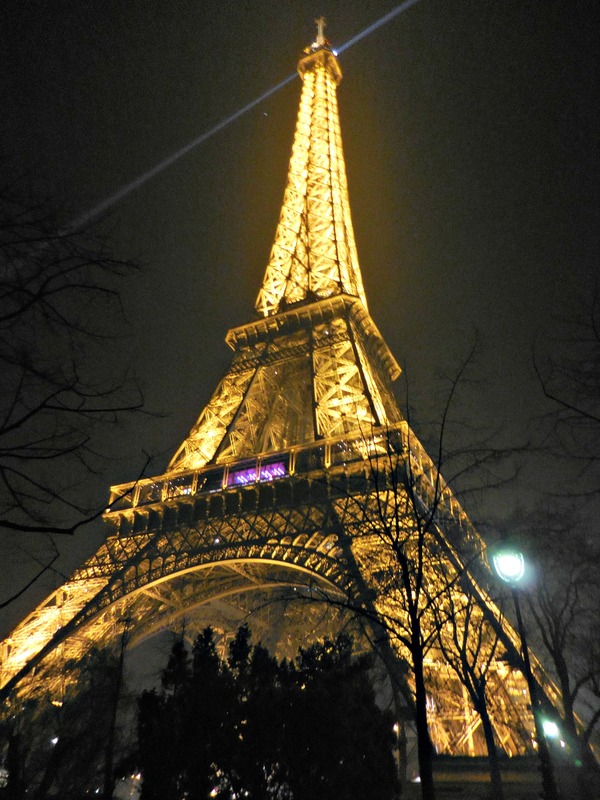 One of my biggest regrets in life is not seeing the Eiffel Tower at night last time I was in Paris. I put it on my bucket list and was determined to not miss out on it this time. We got off of the Metro and got a little lost put eventually found our way. We turned a corner and there it was, glowing and shimmering over the treetops. It took my breath away and was one of those perfect life moments that I will never forget. We watched what was left of the light show and then began to walk closer to the tower. We stopped to take a ton of pictures and just laughed and had a great time together. It was nearing 11 p.m. and we still hadn’t had dinner so we searched around for a place to eat. We ended up at this nice restauraunt where we sat and talked for a couple of hours while sharing a bottle of French wine. I don’t like wine so I didn’t drink much but it was a fun thing to do. 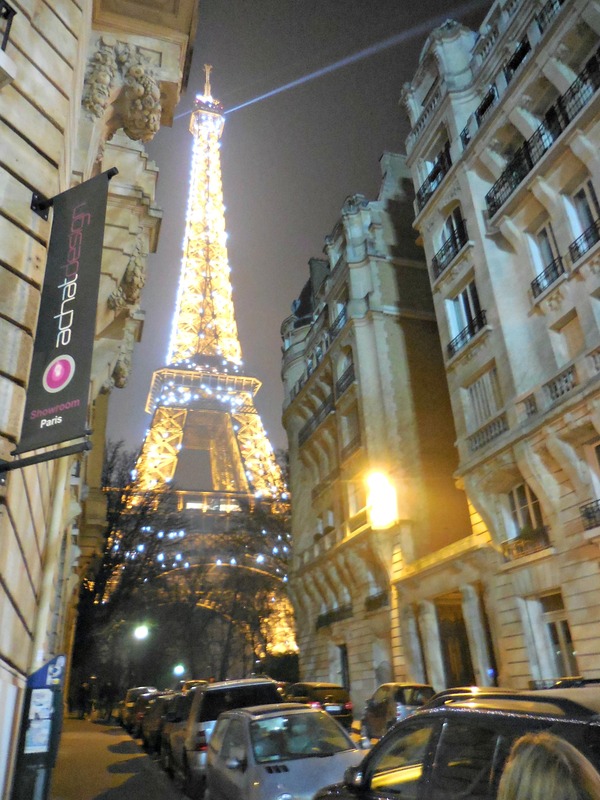 Once we were done with dinner we stepped outside and were greeted once again by the Eiffel Tower light show. We stopped and watched as the tower danced with lights. 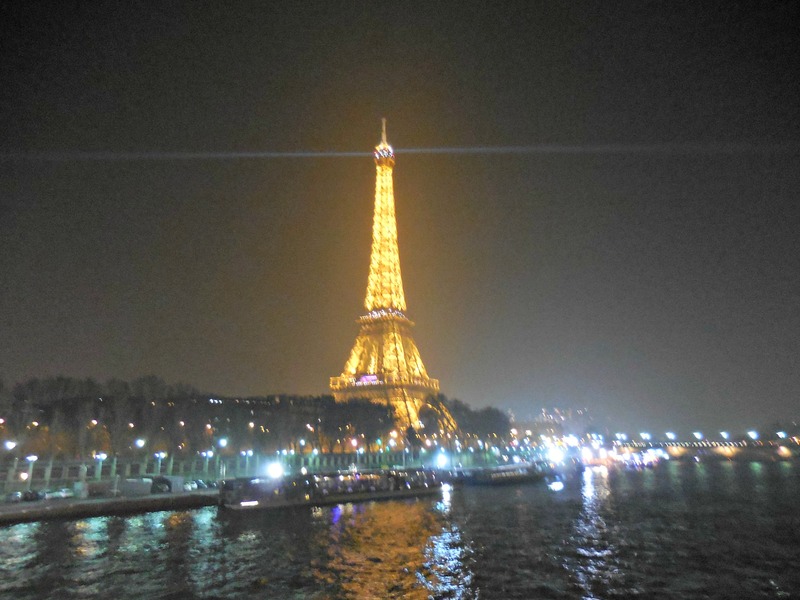 We were in Paris, at midnight, watching the most beautiful sight I have ever seen. We got to our hostel around 1 a.m. and all fell asleep right away. 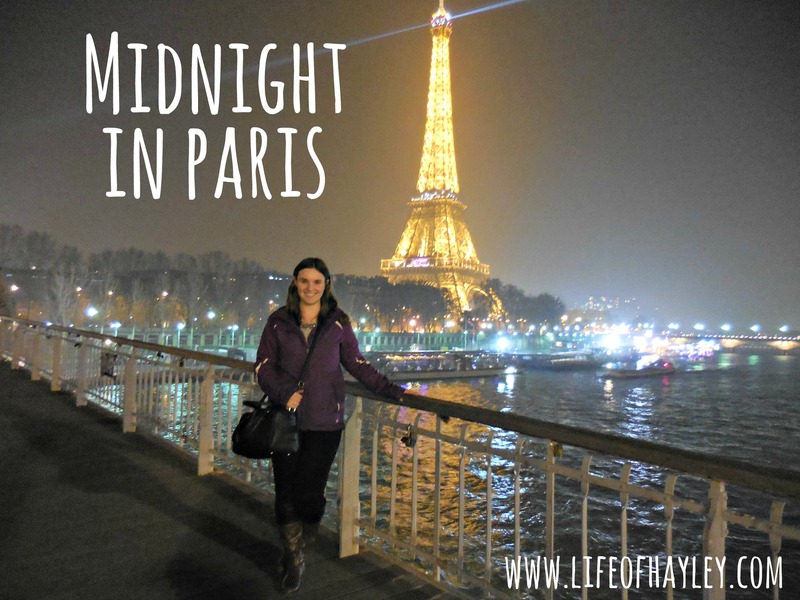 The plan for the next day was to wake up bright and early and go to the top of the Eiffel Tower!! Thanks for reading! 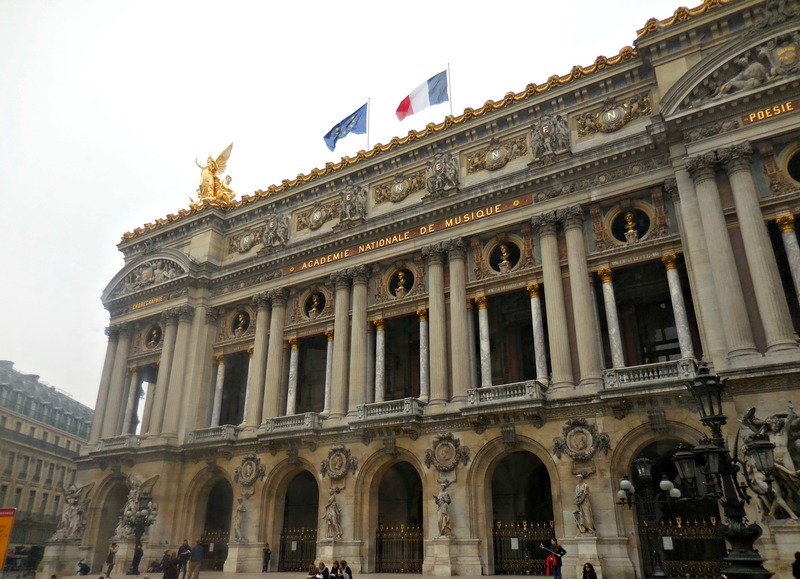 I’m working on my next Paris post as we speak! Hello lovely readers! How are you today? I hope you are doing wonderful! I just wanted to let you know about a little secret place that my friend Anna told me about. It’s not actually a secret, I had just never heard of it before. 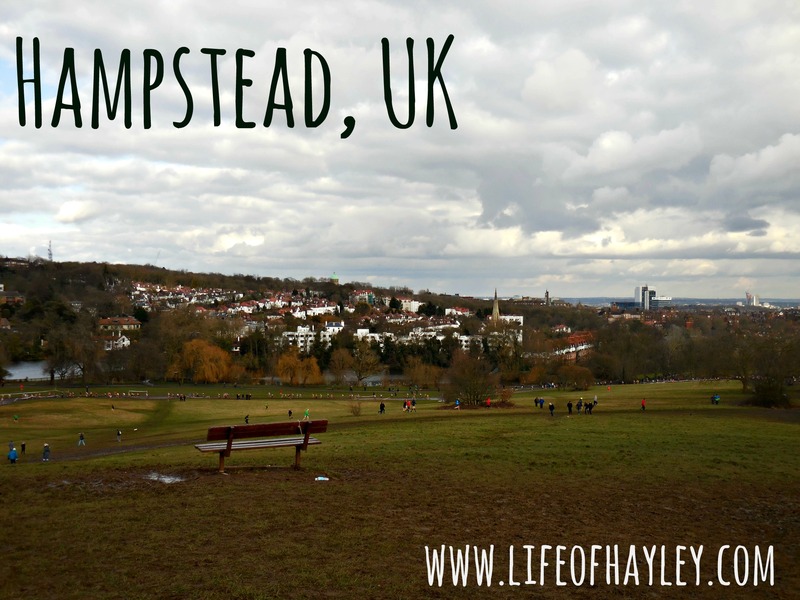 And if you couldn’t tell by the title of this post, that place is Hampstead. 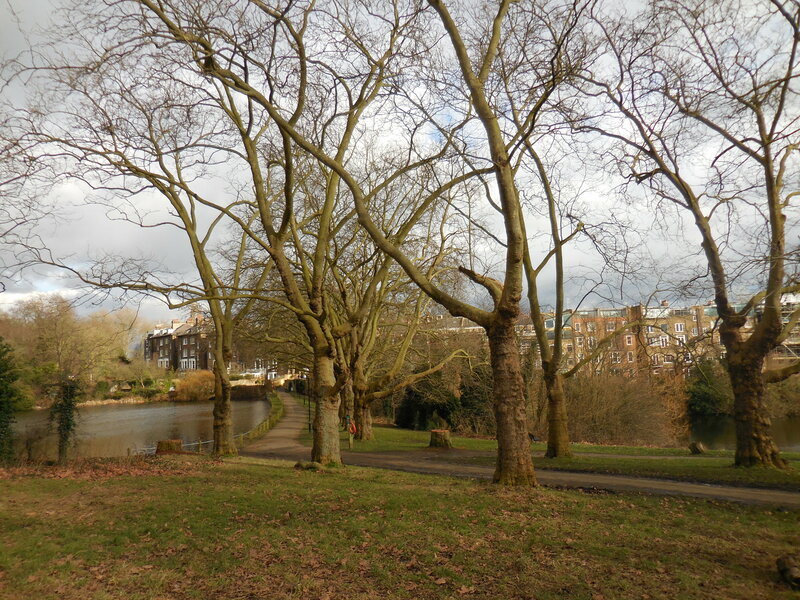 Hampstead is a little town outside of central London. It’s only about a twenty minute tube ride but it feels completely different than London. 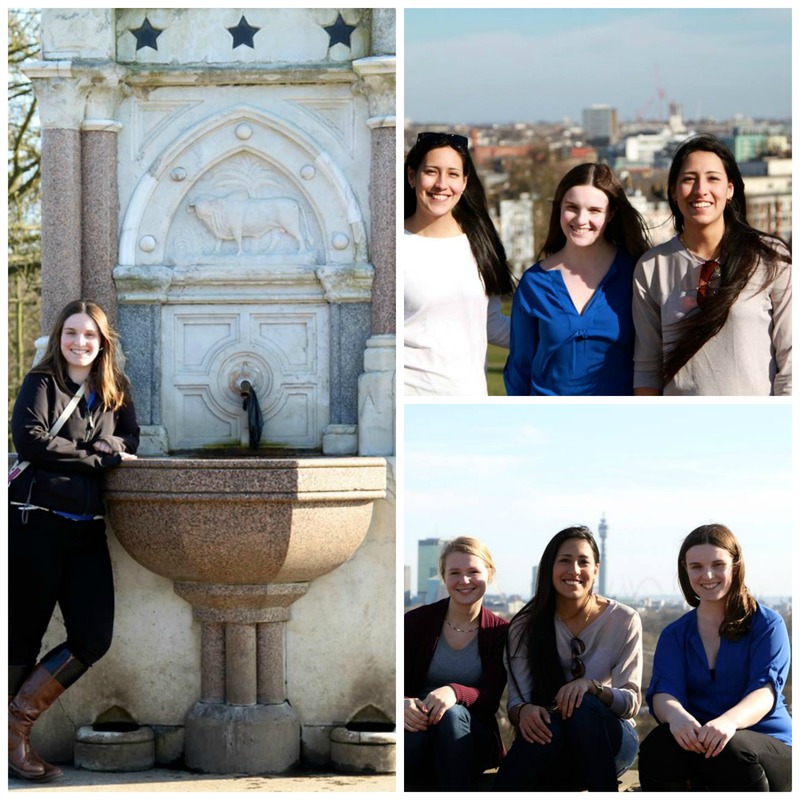 Anna, Ana, Alejandra and I set out for Hampstead on February 21st for a relaxing day in the sun. 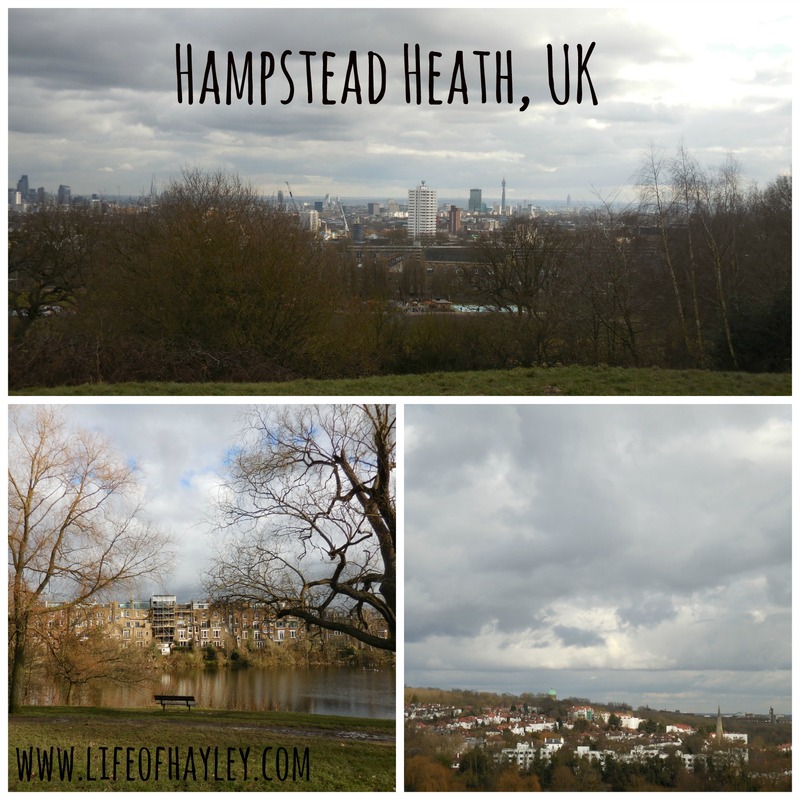 We started our little adventure by walking to the park, Hampstead Heath, where we climbed a big hill and were rewarded with an amazing view of London. There was a cross country event that afternoon so there were a ton of runners and cheering fans. All of the activity had turned the paths into pits of mud but that didn’t stop us! After having our breath taken away by the picturesque scenery and posing for a million pictures, we headed back down the hill and into town. We stopped for some carrot cake and hot chocolate at a little café where we sat and talked for some time. 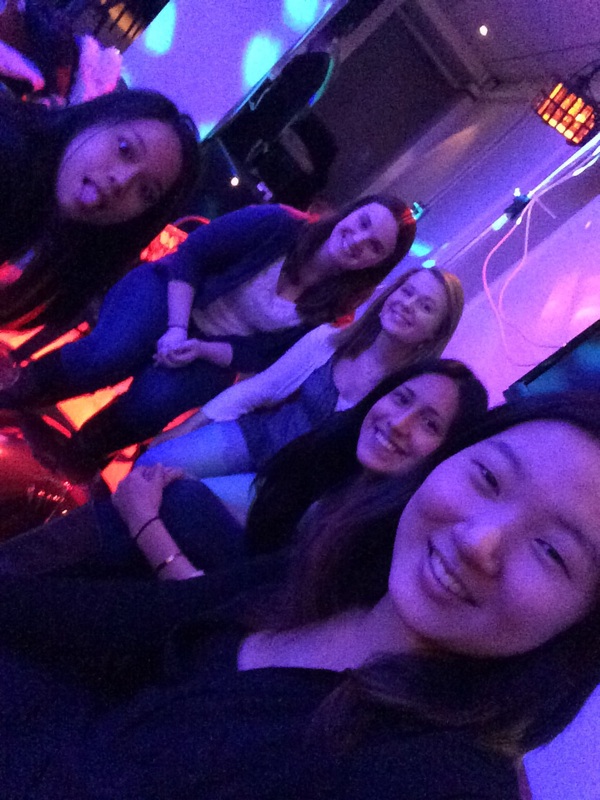 I thoroughly enjoy spending time with the wonderful girls that I have met here. It’s such an amazing thing when you find people who understand you and can make you laugh until you cry. 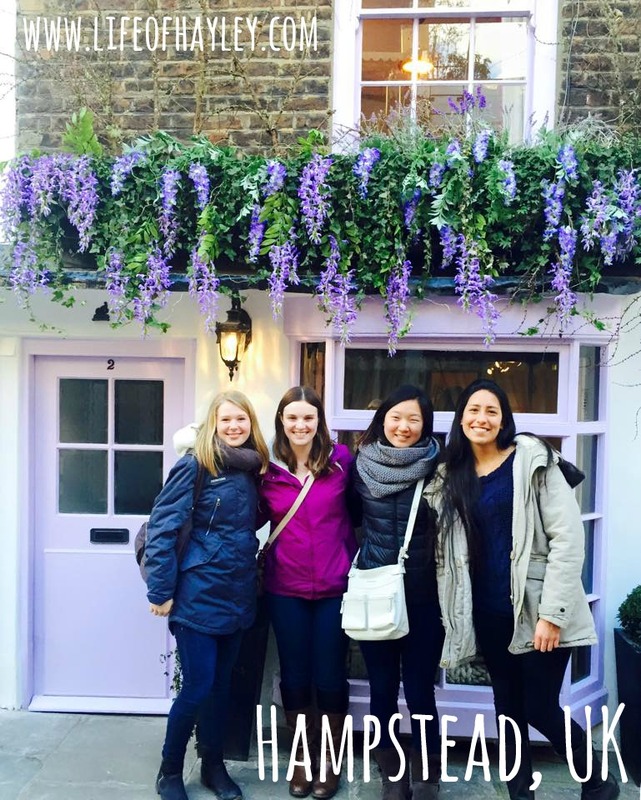 We wandered around Hampstead for a couple of more hours until Ana and Anna had to head back. 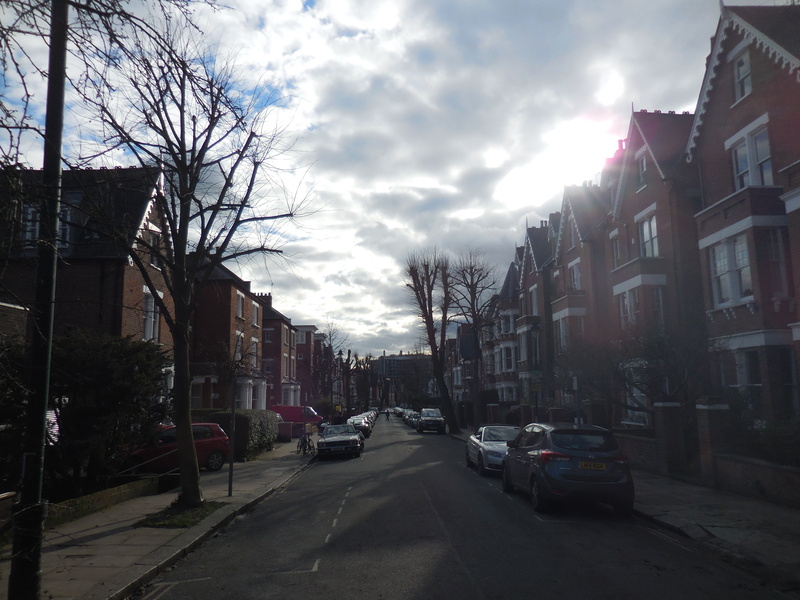 Alejandra and I didn’t have anything else to do so we stayed in Hampstead. We met a group of drunken Australians (it was only 5 pm!) who invited us to a pub crawl and posed for some pictures! We declined their invitation and continued onward. I could have spent the rest of the day in Hampstead but it started to rain which turned into snow. We decided that it was time to head back as the sun started going down as well. I had such a wonderful day exploring with my friends! 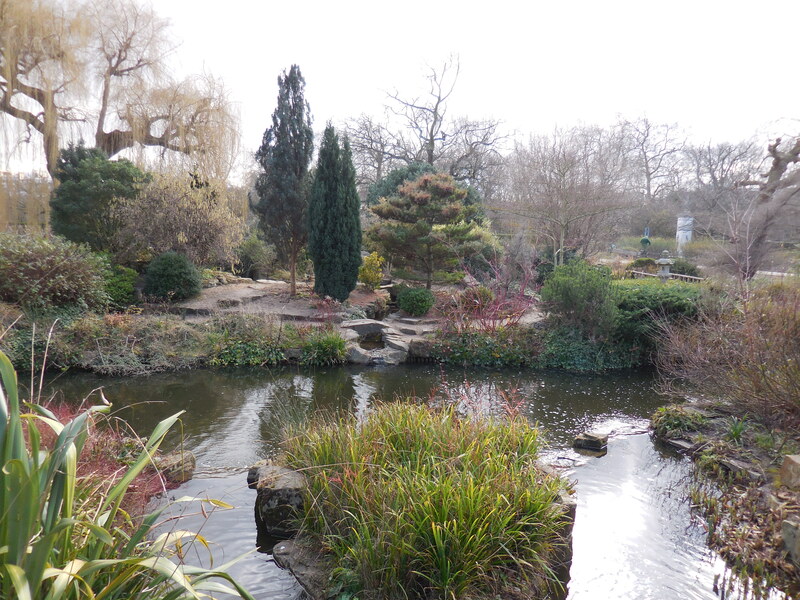 There’s always something to do in London and it’s nice to step outside the city and enjoy nature! 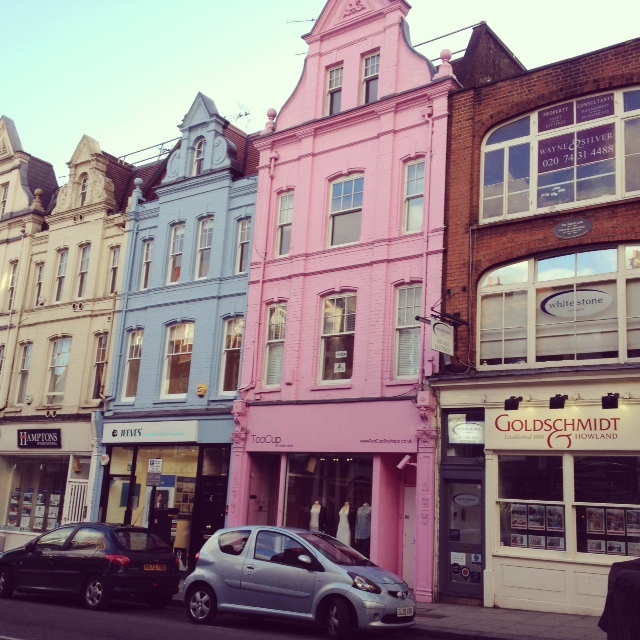 I definitely recommend stopping in Hampstead if you are ever in London! Thanks again for reading! 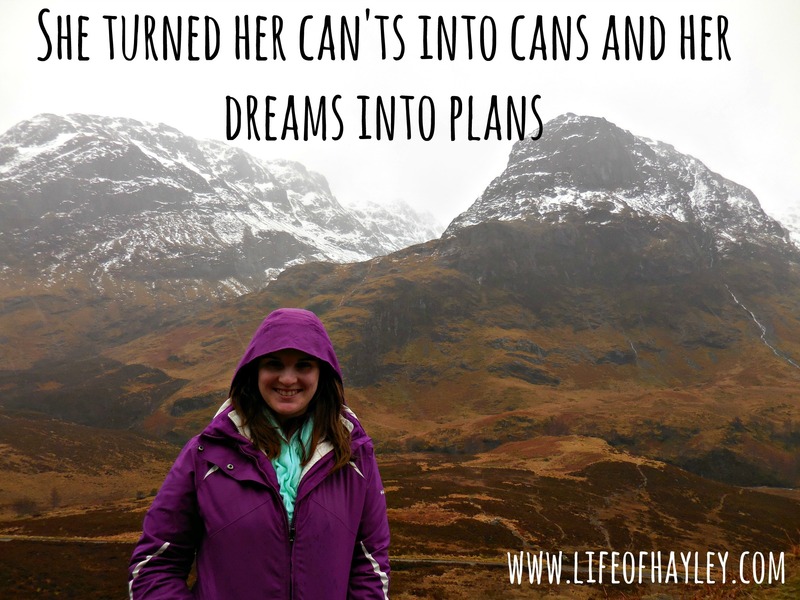 I am feeling overwhelmed (in a good way!) with the amount of support I have been receiving lately! Hello again! London has been wonderful these past couple of weeks and has distracted me from blogging….so blame London for my absence. I can’t believe I’ve been here for over a month already! Time has really flown by and it’s making me sad. I love it here so much! 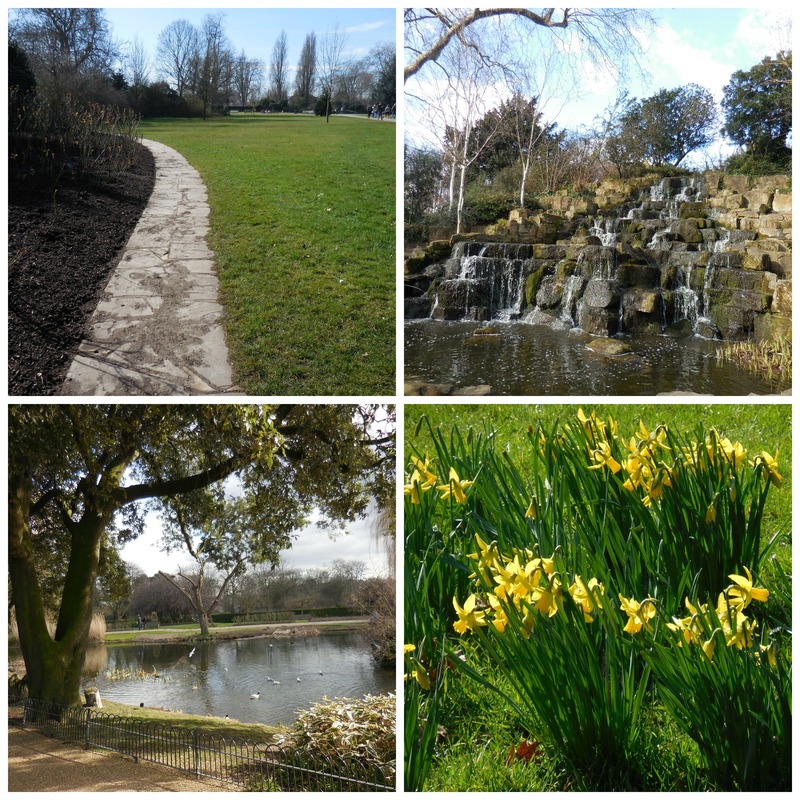 I thought I would show you a little bit of Regent’s University and Regent’s Park. 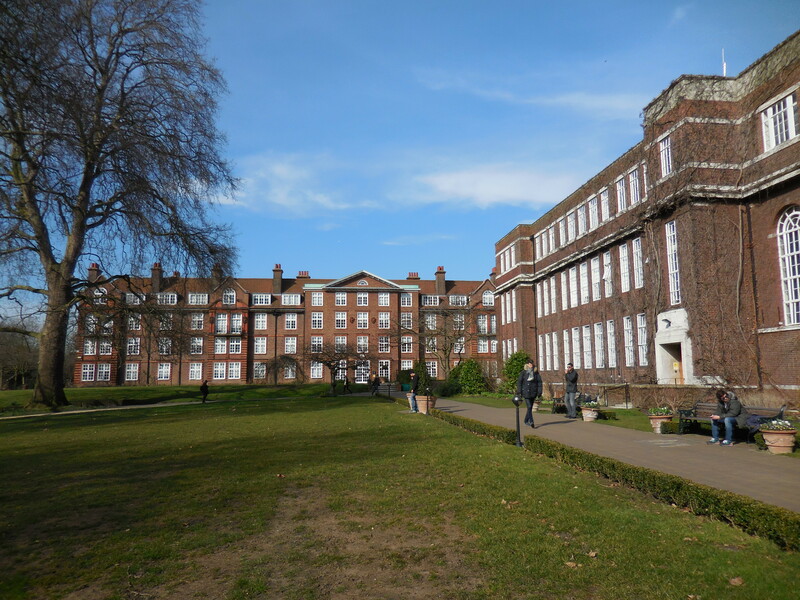 Before coming to London, I wondered a lot about what campus would look like here. I spent a lot of time on Google looking for pictures and pouring over maps trying to get familiar with the area. 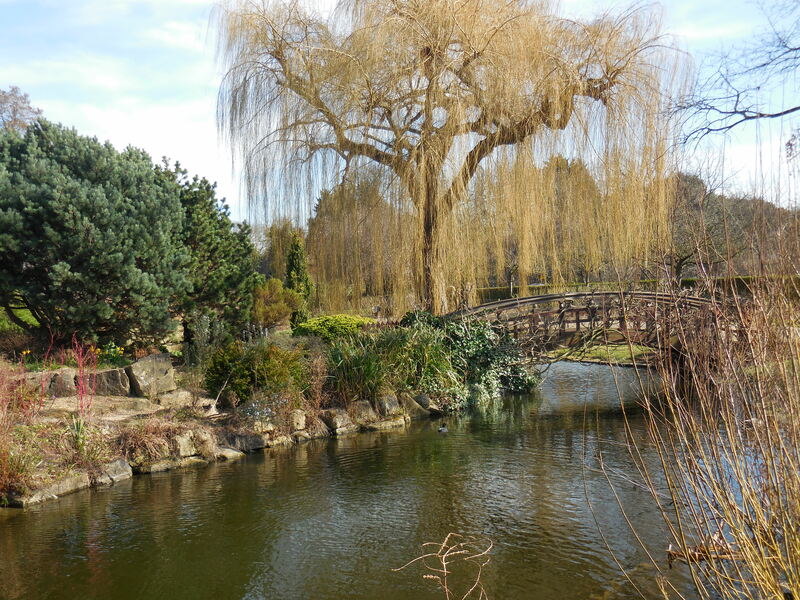 Regent’s Park and University went above and beyond all of my expectations. The park is so well maintained and picturesque. I feel so thankful to be able to live in a Royal Park and have the Queen as my “landlord.” I’m sure not many people can say that. 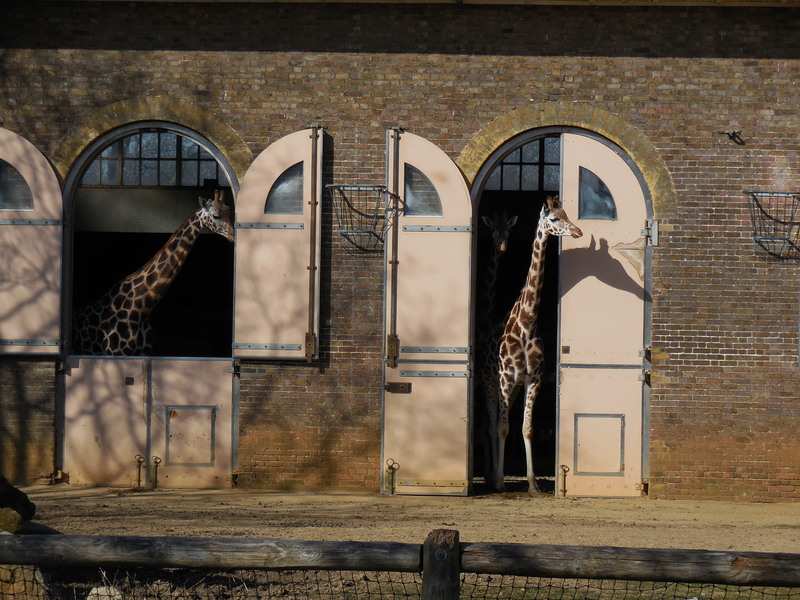 Another really cool thing about Regent’s Park is that it contains the London Zoo. I can walk 10-15 minutes from my dorm and see zebras and giraffes without even paying to go inside the zoo. It’s so cool! 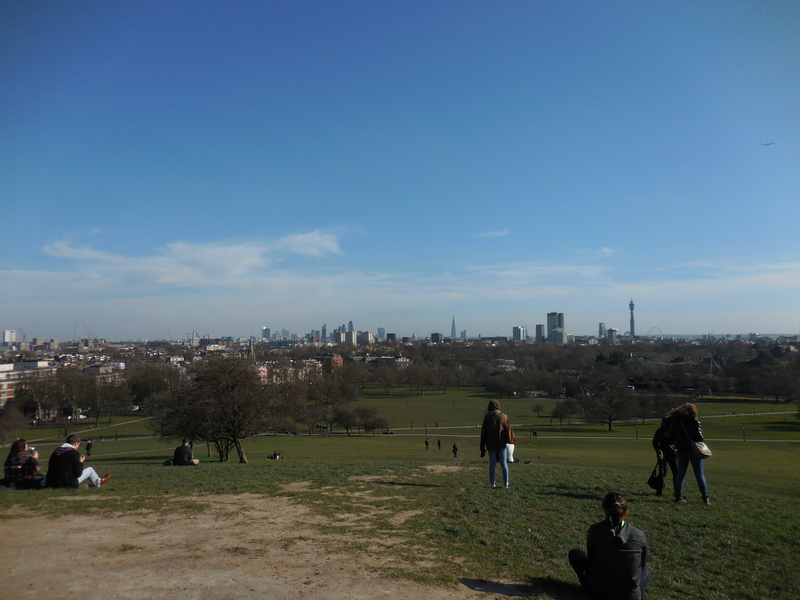 I also love that Regent’s University is so close to Primrose Hill. I went there with the girls yesterday and had a great time taking pictures and wandering around the surrounding area. It is such a beautiful little neighborhood! 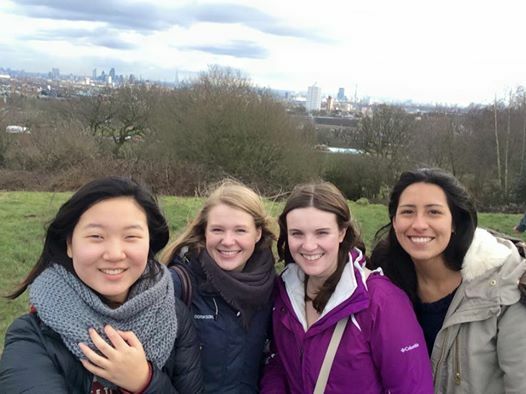 From Primrose Hill you can see an amazing view of the London skyline including the Shard and the London Eye. I hope you have enjoyed this post! Thanks for reading!!! I was honestly doing fine. 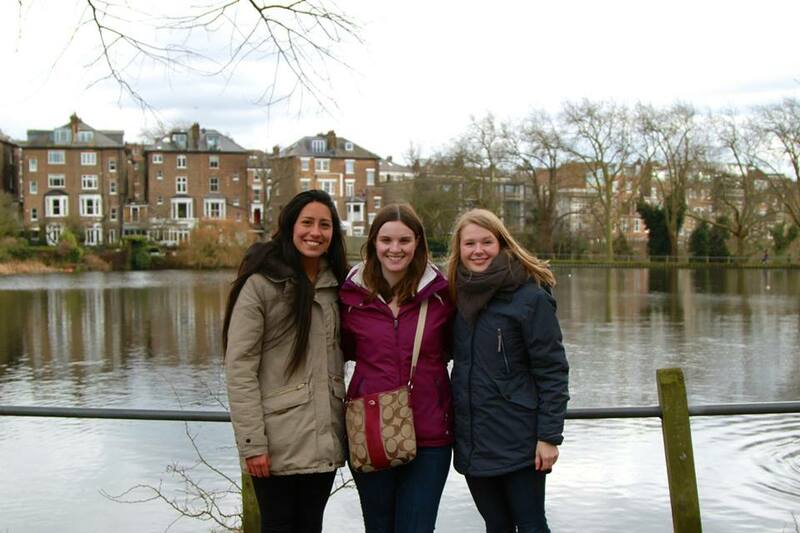 The first week in London I just focused on making friends and enjoying every minute. I was so proud of myself for keeping it together and keeping my anxiety at bay. Suddenly, one bad thing happened to me and I couldn’t stop the tears and nervousness. I was still happy to be in London but the only thing I wanted was my mom by my side helping me. 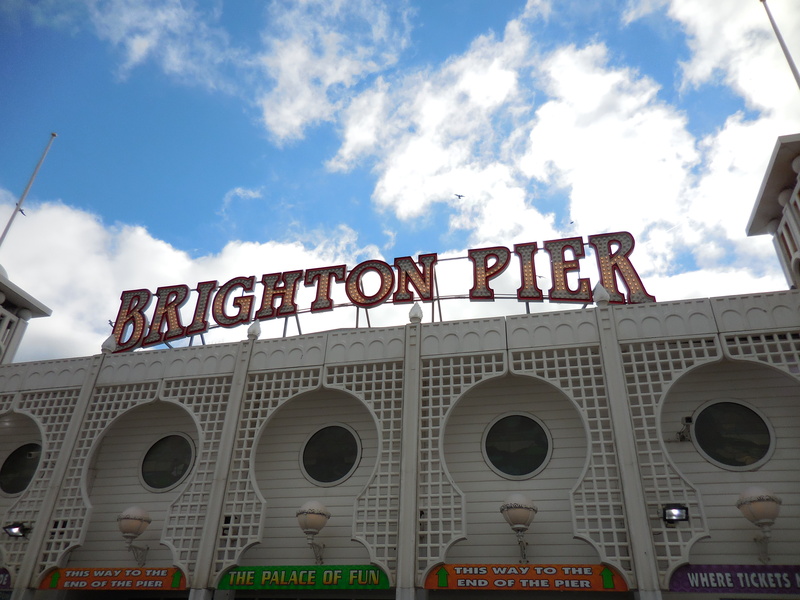 It was Saturday, the day that I was going to Brighton. I had a terrible day and it made me feel so alone and small. And I really was alone, 10 minutes until I had to be at the train station and 1.7 miles away. London is big and confusing, so being alone and lost is not fun. This is especially true when you are trying desperately to hold back tears. I wanted so badly to call my mom but at the moment I couldn’t call her, I couldn’t call anyone not in the U.K. Later that night when I could finally talk to her I just couldn’t bring myself to do it. My parents have sacrificed so much to get me here and I was embarrassed and ashamed. I didn’t want to seem ungrateful because I’m not. Even though I was ashamed of what had happened I confessed to my mom and she wasn’t upset or disappointed in me. That’s when I started to think about being homesick and what I could do to change my attitude. 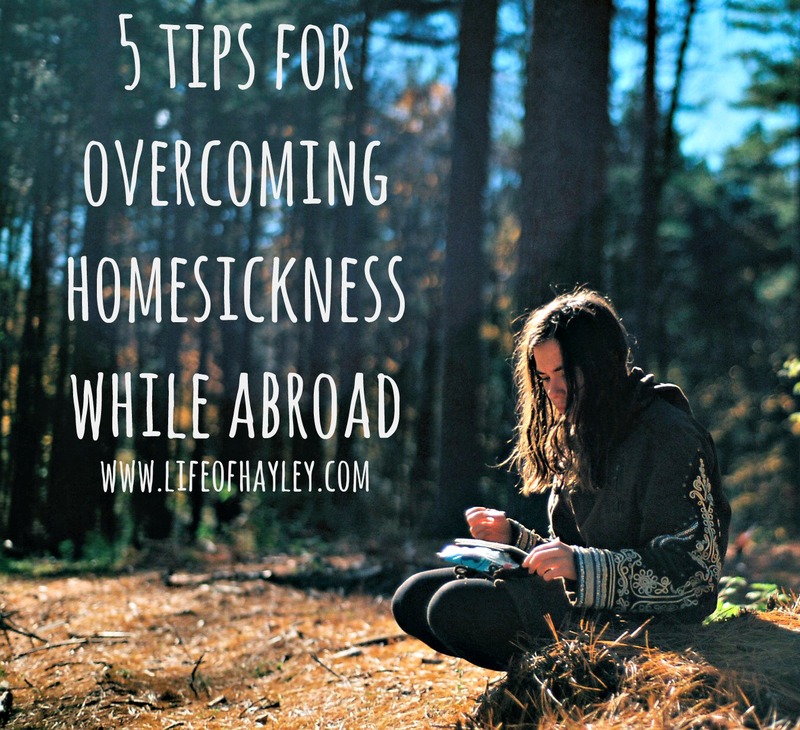 I used my experience with being homesick to create a few tips for you. Don’t be ashamed that you are homesick because there is nothing wrong with it! Being homesick means that you have a great life with people who love and miss you. Don’t dwell on it. I did and trust me when I say that you should just move on with your life. It’s okay to realize that you miss your family and friends but they want you to be happy. 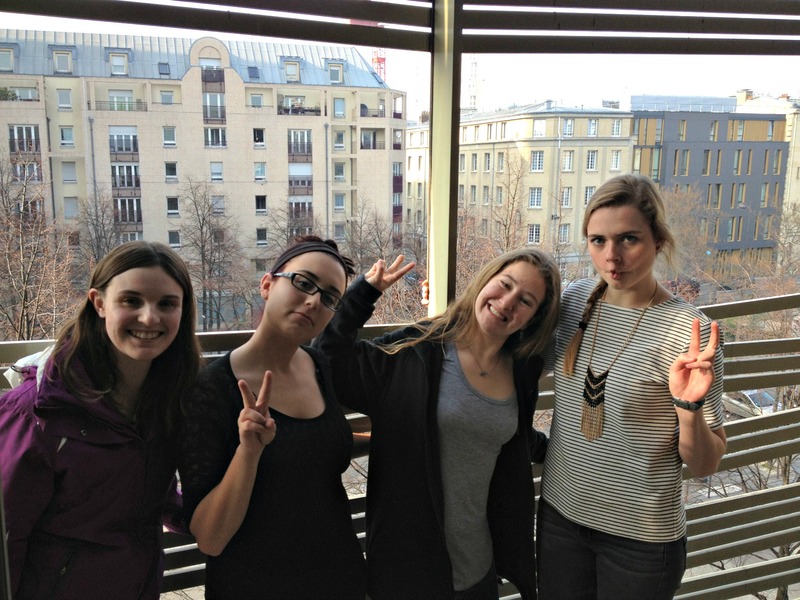 You will see them again so for now you need to move on and make the best of your time abroad. Talk to your family and friends. Let them know that you are missing them. It’s okay to be vulnerable for a little bit. Turn to your new friends. Even though you haven’t known them for long they will be more than willing to help you. I told my new friends that I was feeling homesick and they were there for me. They made sure to keep me busy and happy. Having them help made our relationship even stronger. If you don’t have any new friends, give it time. You can always come to my blog and talk to me! Go out and have fun! Don’t sit in your room listening to depressing music and crying. Go out, walk around, and smile. Everything will be okay! I really hope that my experience and how I dealt with it can help you. Being homesick is not fun but it happens to the best of us. Personally, it took me a while to get back into the swing of things but I am so glad that I pushed through. Don’t let other people or your own bad experiences bring you down. You can do this!! And if you ever need help or someone to talk to I am always here for you! Thanks for reading! Sorry for the sappy post but I am really hoping that these tips will help others who are going through the same thing I went through. Sorry guys! It’s been a while since I’ve updated but I wanted to share with you how classes are going. 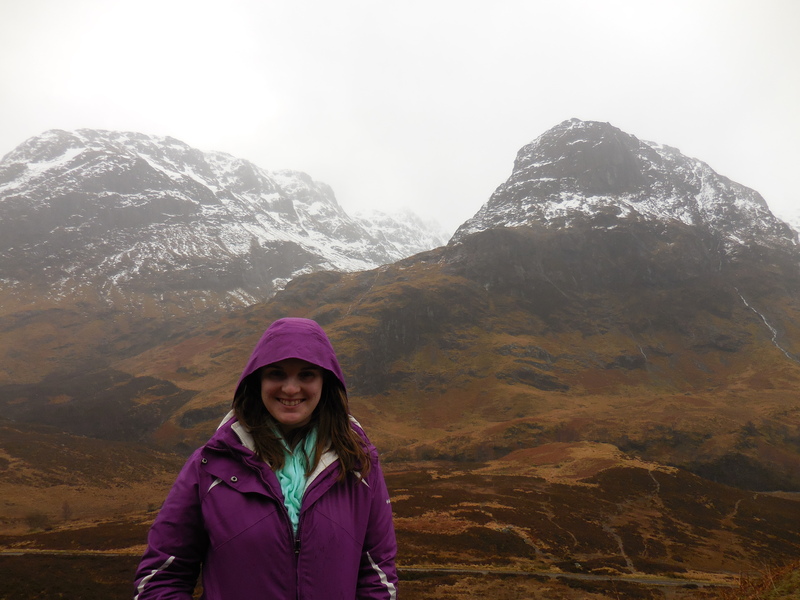 I have been experiencing a bit of homesickness and I didn’t want to write a depressing post. Thankfully my friends have been amazing and their support has made me feel much better. Classes are a little different here than in the U.S. In Michigan, I attend a public University over 24,000 students. 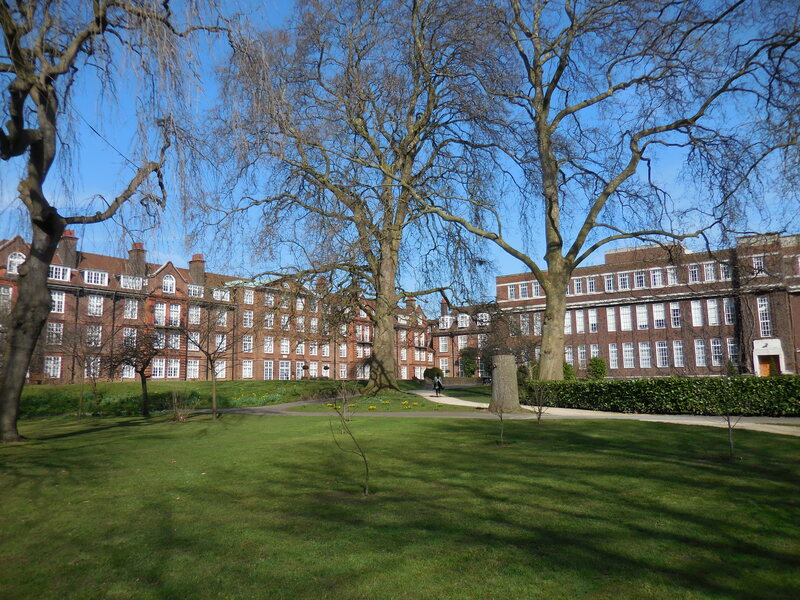 Here I attend Regent’s University which is a private University with around 4,000 students. So right away there’s a big difference when compared to the U.S.
At Regent’s the class sizes are small with only 20-30 students per class. At home I can have lectures with 300+ students. I love the small class sizes which allow a lot of discussion and interaction. We are only three weeks into classes and my professors already know my name and where I’m from. I really love getting to know my professors and peers through lectures and seminars. I am taking three modules (courses) while in London so I am taking 25 ECTS (European Credits). This translates to 12.5 U.S. credits which will either round to 12 or 13 credits when being transferred to my home University. So far I am loving all of my courses and professors. I find the subjects really interesting even though they all involve a ton of group work which I usually hate. I have friends in most of my classes and have easily made even more friends. Everyone is really friendly here and it is easy to fit in with people from other cultures. Even though our cultures are very different I have made friends with students from Peru, Colombia, Argentina, Germany, Norway, France, Russia, etc. 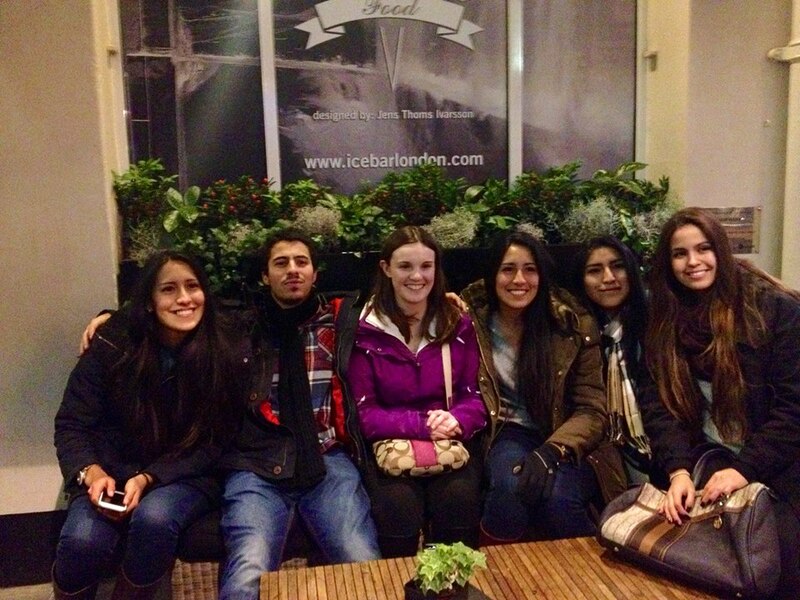 As long as you go into study abroad with an open mind you will be able to make friends with anyone. It really is an amazing experience to be part of. Making the decision to study abroad has already changed me in so many ways. I feel like a completely different person and I am so relaxed. Back at home I was always rushing around with school and work and I never had time to make friends and just enjoy college. Now I am slowing down, making friends, hanging out, and making amazing memories. I just feel so grateful that I am here in London experiencing everything. Thanks for reading! 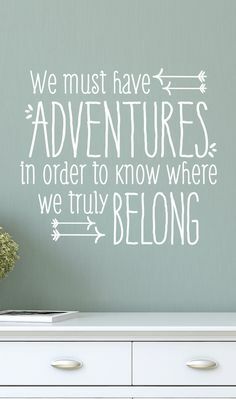 I’m really going to try to get better at posting because I want to be able to look back at all of my adventures!